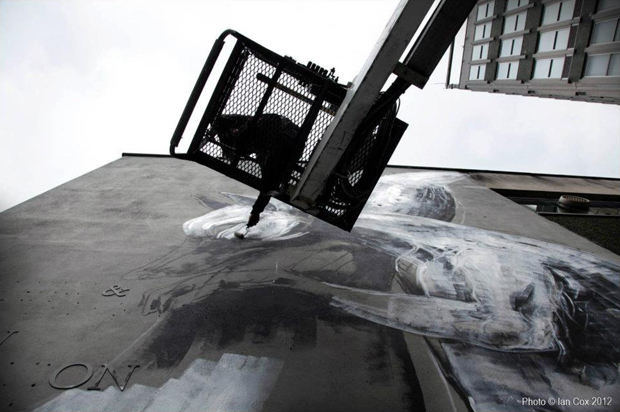 The huge Bristol based street art project See No Evil is about to enter it’s second season, with the city’s Nelson Street being transformed into a huge outdoor gallery over the next month, with the festival itself taking place August 13th – 19th. 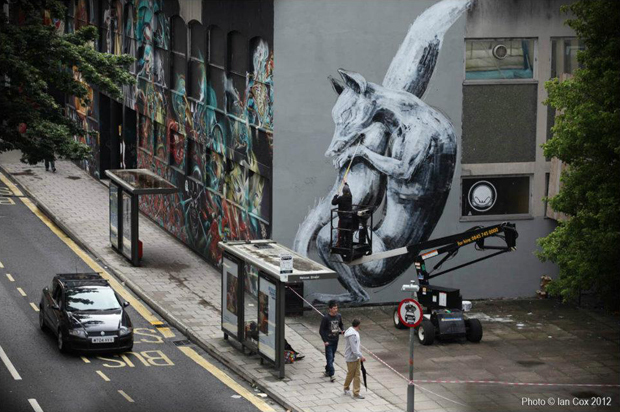 ROA is the first to kick things off, painting a huge mural on the side of a building towards the start of Nelson street. 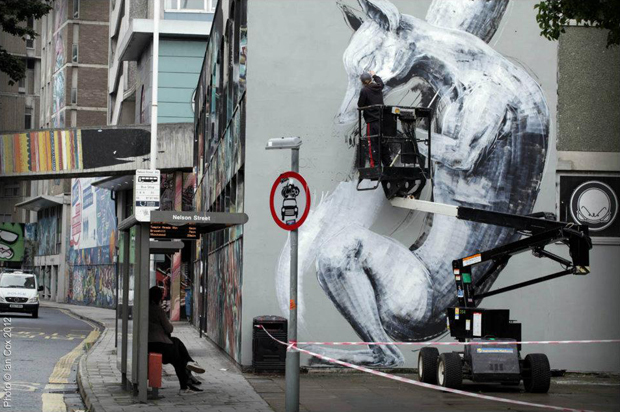 The Belgian artist is known for his massive animal pieces, and as you’d expect, this new artwork is no exception. ROA is one of around 30 of the world’s most prolific street artists, who have been specially selected to reinvent the street with incredible pieces of art. This year’s roster of artists includes Nychos, Insa, Remi Rough, Pixel Pancho, Eine, Sick Boy and more, all curated by Bristol graffiti artist Inkie who inspired the original See No Evil project last year. 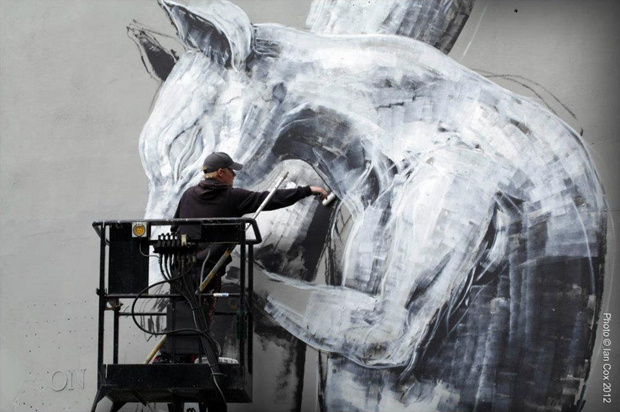 Below are some images of ROA at work. Keep up to date over the coming weeks at See No Evil and on facebook. Bristol does not get the credit it deserves. More creativity here than the rest of the Uk put together! Totally agree with Dreamer, Bristol is such a creative hub. 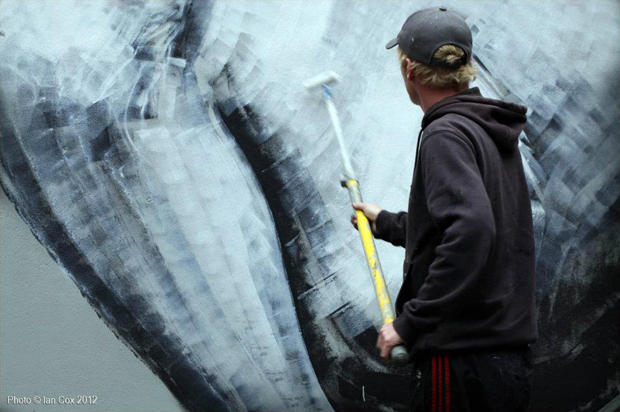 Most of the artists that take part in See No Evil aren’t even from the UK. That’s not to say Bristol isn’t creative. Yeah true, though I cant think of any other council that would even dream of allowing a project like this, annually. Brighton council is pretty progressive in terms of its attitude towards graffiti but Bristol definitely tops them. 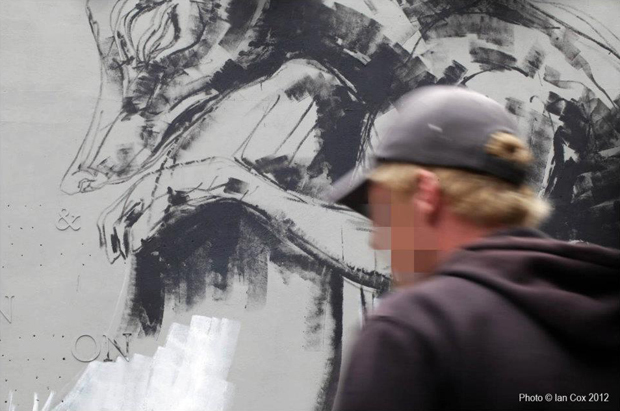 It was nice to see Aryz’s work in the flesh at the last SNE. Can’t wait to check out the walls next time I’m in Bristol.